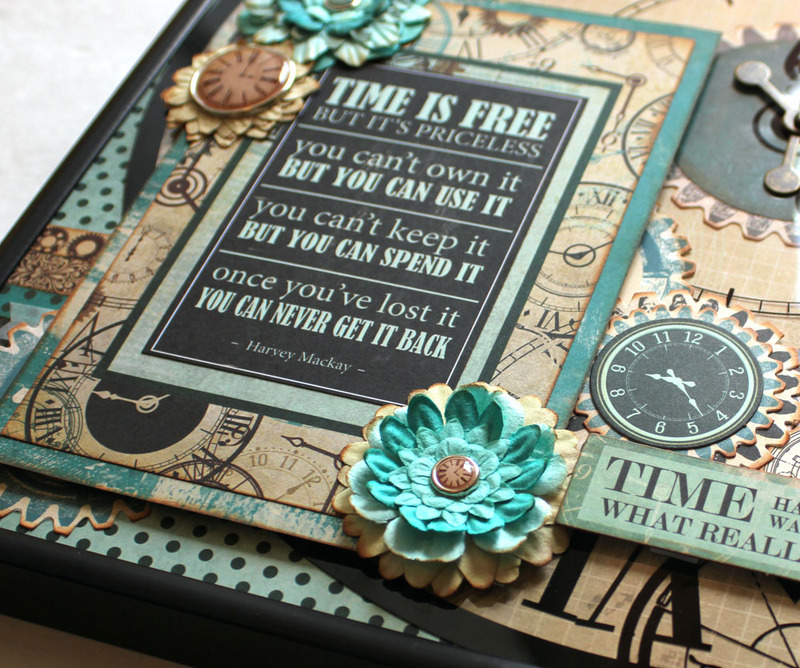 The new Kaisercraft Time Machine Collection is filled with beautiful papers, clocks, and quotes about time. 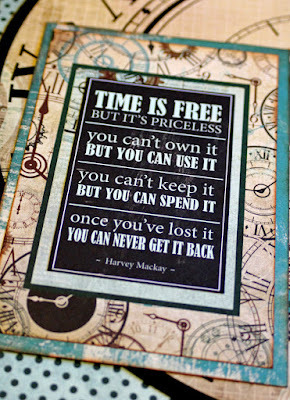 I chose this Harvey Mackey quote as the INSPIRATION for a recent home decor project. 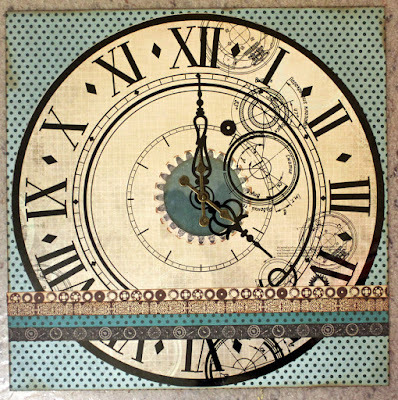 The 12"X12" acetate clock was the perfect piece to use as a background. 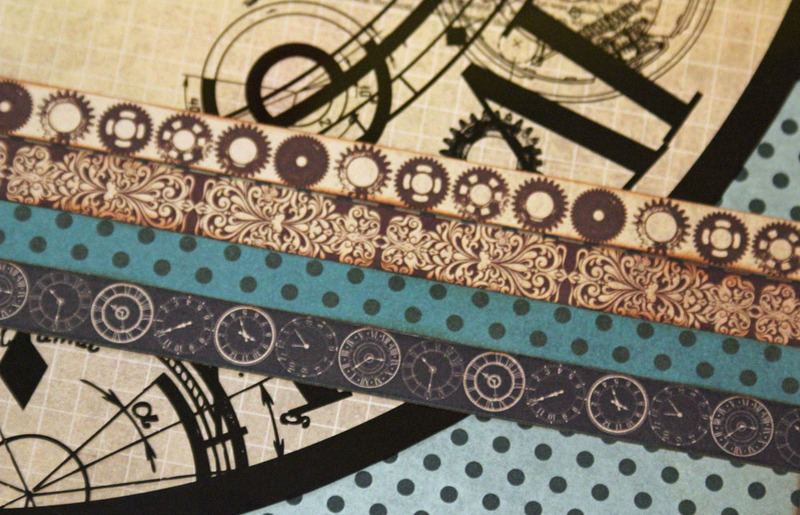 I backed it with one paper, then trimmed around the clock and matted both pieces onto another patterned paper. The four decorative strips are simply the reverse side of the bar code strips from the ends of several of the papers in this collection! The "shelf" created by those strips holds the matted quote and lots of FUN embellishments. Everything except the paper flowers and Tim Holtz spinners used as clock hands came from the Time Machine Collection. I removed the glass from a 12x12 frame that I had on hand so that this dimensional piece could be displayed easily. 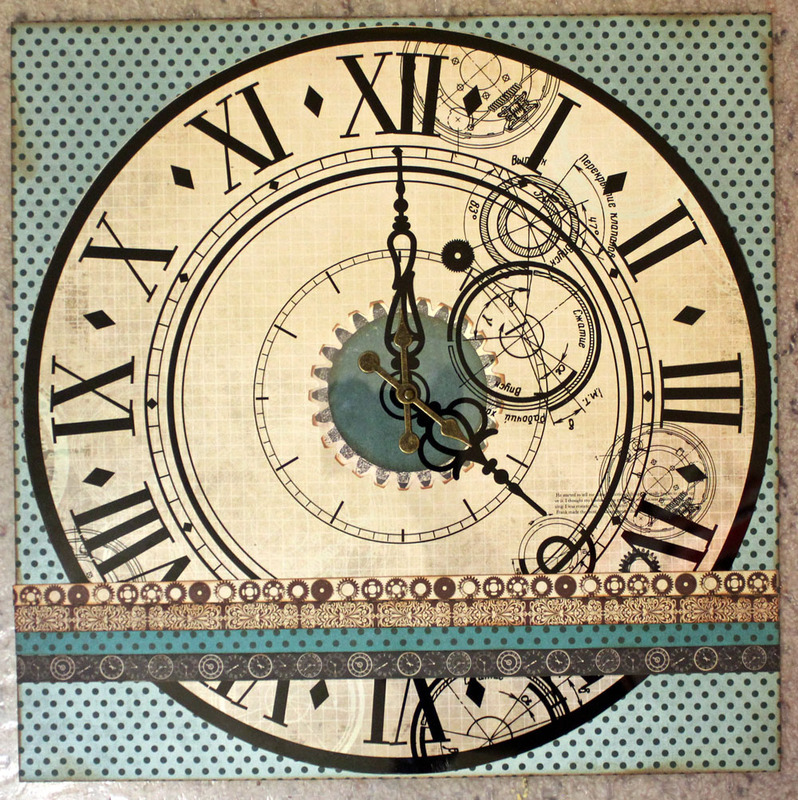 This piece is currently on display at Scrappin' Goodtime, but will eventually return to me where I can display it as a reminder to enjoy the precious and priceless commodity of time! 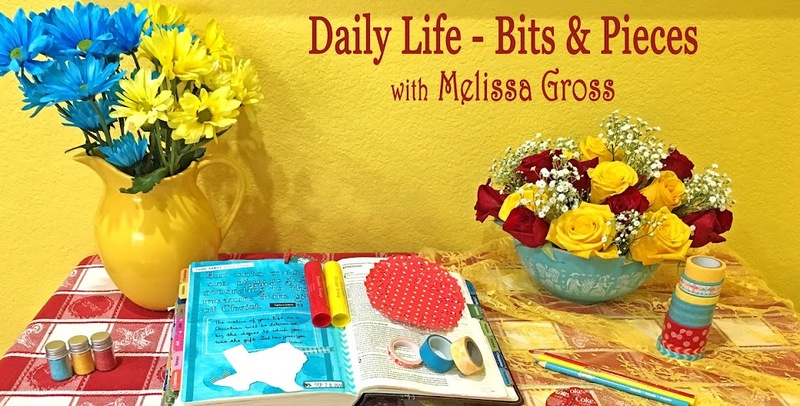 How have you been spending your time lately? Great quote, and beautiful piece! Melissa, this is beautiful! I've been doing wood projects lately but today it's chipboard. Isn't that lovely? You have made a splendid job of this and that quote is spot on - good to have this on one's wall in view to focus one in the moment. You are very creative :). How lovely! Such a perfect thought for a piece you will be able to display somewhere you see it every day. Becasue we do indeed all need that reminder. Oh, what a lovely creation. Time well spent on that!! That is lovely! 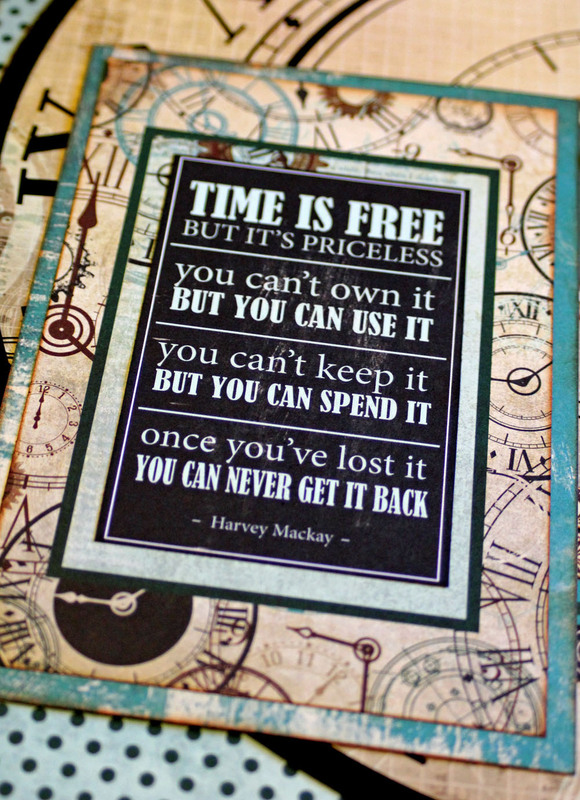 I agree time well spent! I'll bet it looks fab in your home. I've been spending a lot of time with my puppy Springer Spaniel, Barney. Gosh, he takes up a lot of my time at the moment! I'll have to do a blog post about him. 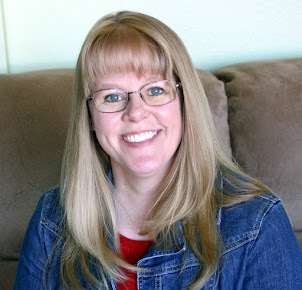 Popping in as part of my 300 blog comments in 30 days. 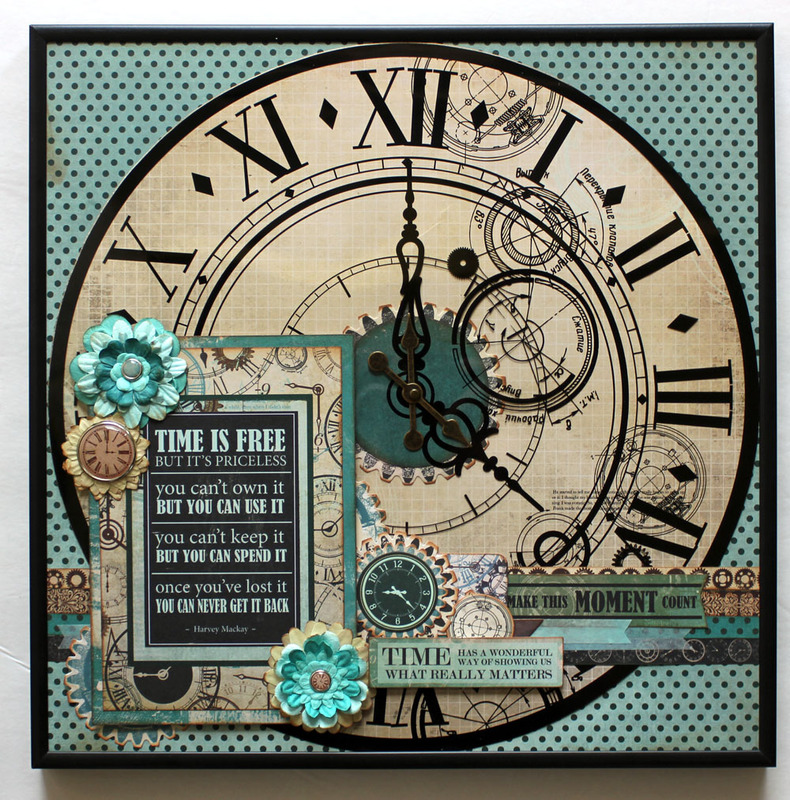 I LOVE everything about this piece - the colors you've chosen, the clock as a theme, and the quote - just WOW! Oh this is gorgeous - I love that quote and how you've put together the design.